Specializing in repairs for all major home appliances since 1985, Dave White Appliance Service is the company Brantford and the surrounding area calls when quality matters! In most cases, we can complete your service or repair in as little as 24 hours, and if we don't have the parts you need in stock, we'll order them for you. If you have a malfunctioning stove, oven, dishwasher, refrigerator, freezer, washer or dryer —call us! Our professional advice is always free and we’d be more than happy to assist. Dave White Appliance Service’s repair services are available to Brantford and the surrounding communities within our 25-mile service radius. Learn more about our company. Dave White Appliance Service repairs appliances from many of the leading manufacturers, including Maytag®, Amana®, Frigidaire®, KitchenAid®, Jenn-Air®, Kenmore® and Whirlpool®, just to name a few. For your peace of mind, we’re fully insured! To request information or a repair, give us a call today at 519-442-3790. 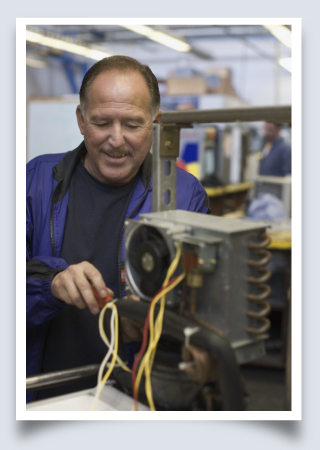 We look forward to serving your home appliance repair needs!